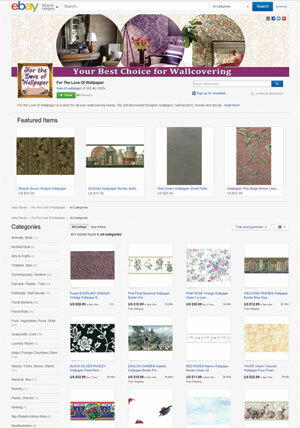 If you are not able to find what you are looking for in the online stores, please call us for a custom pattern search. Geometric Patterns are the new rage. These patterns are the ultimate transitional wallcovering–while they have a unique contemporary vibe they can highlight traditional décor and antique furnishings. Shown above are pictures of some geometric patterns that make for great accent walls. 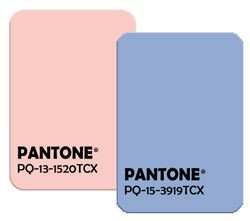 Pantone Matching System (PMS) is a universal color coding system and each year they select a feature color that is considered the Color of the Year. Typically, the ‘Color of the Year’ will show up in furnishings, towels, make-up, clothing, kitchen goods, home décor, car colors, paint colors, wallpaper patterns, and any other goods to be worn or used or decorative items to just be looked at. I personally loved the 2015 Color of the Year — Merlot. It was rich and deep. The 2016 Color of the Year is at the opposite end of the color spectrum and is in the pastel family. The 2016 Color of the Year is actually 2 Colors. This is the first time since the Color of the Year program has been in existence that 2 colors have been selected. 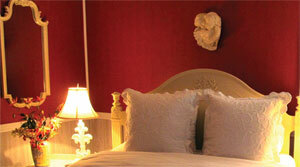 The 2 colors are: Rose Quartz (PMS-13-1520) & Serenity (PMS 15-3919). See them to the right. 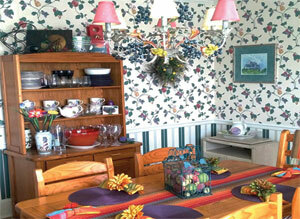 Some wallpaper patterns from our current inventory that have a similar vibe of warm & cool are shown below. 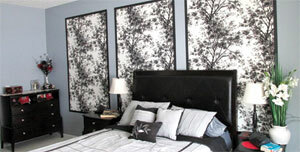 Customers use wallpaper in different ways and the featured photos offer up some interesting examples—red wallpaper over white chair rail, wallpaper as framed panels behind a bed (takes the notion of accent wall to a new level), border used to cover an above-cupboard soffit, dramatic black-white geometric in an entranceway, colorful fruit pattern in a coordinated kitchen. Send in your photos of a wallpaper or border installation or wallcovering used in a craft project & we will send you a coupon worth 10% off your next wallpaper purchase from our online store (fortheloveofwallpaper.com). No limit to the number of coupons you can earn! One coupon per installation or craft. Expires December 31, 2016. 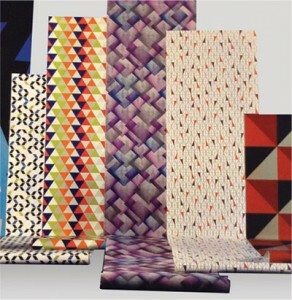 Textures are the newest trend in wallcovering & we have some amazing examples of this new material that can be used on accent walls or to cover entire rooms or ceilings. 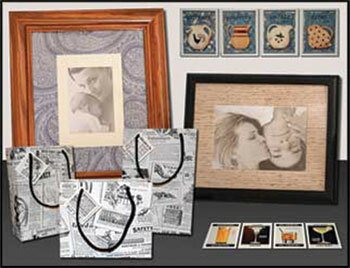 It is totally versatile & is offered in various 3-dimensional patterns & colors. 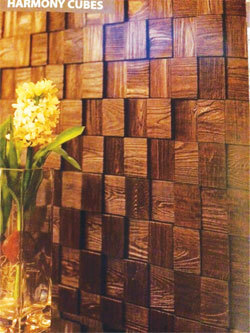 Retro Art™ Structures Backsplash & Wall Panels will revolutionize wallcovering. The Thermoplastic panels are enhanced with thin metallic sheets & paints covered with synthetic leather & other woven pattern designs. An overlap feature ensures invisible seams. 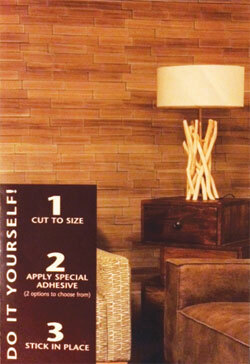 It is incredibly easy to install: Cut to Size, Apply Special Adhesive & Stick in Place. 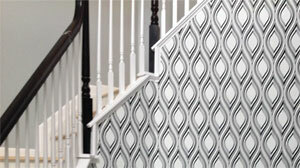 We are one of the first wallcovering stores in the country to stock this exciting new material! Easy to install and does not require seam matchesWe have more than 20 Grasscloth patterns in-stock & we continue to add to this inventory. View some exciting options below. 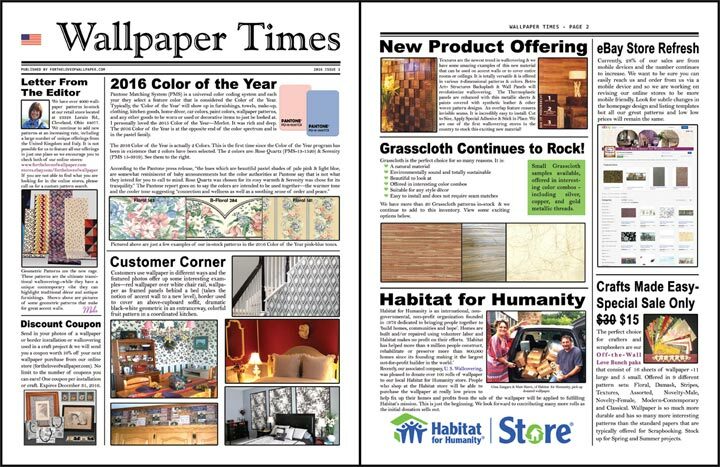 Recently, our associated company, U. S. Wallcovering, was pleased to donate over 100 rolls of wallpaper to our local Habitat for Humanity store. People who shop at the Habitat store will be able to purchase the wallpaper at really low prices to help fix up their homes and profits from the sale of the wallpaper will be applied to fulfilling Habitat’s mission. This is just the beginning. We look forward to contributing many more rolls as the initial donation sells out. Currently, 28% of our sales are from mobile devices and the number continues to increase. We want to be sure you can easily reach us and order from us via a mobile device and so we are working on revising our online stores to be more mobile friendly. Look for subtle changes in the homepage design and listing templates but all our great patterns and low low prices will remain the same. 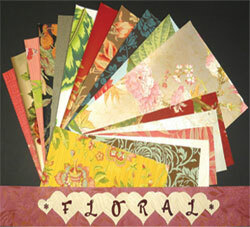 The perfect choice for crafters and scrapbookers are our Off-the-Wall Love Bunch paks that consist of 16 sheets of wallpaper -11 large and 5 small. Offered in 9 different pattern sets: Floral, Damask, Stripes, Textures, Assorted, Novelty-Male, Novelty-Female, Modern-Contemporary and Classical. Wallpaper is so much more durable and has so many more interesting patterns than the standard papers that are typically offered for Scrapbooking. Stock up for Spring and Summer projects.